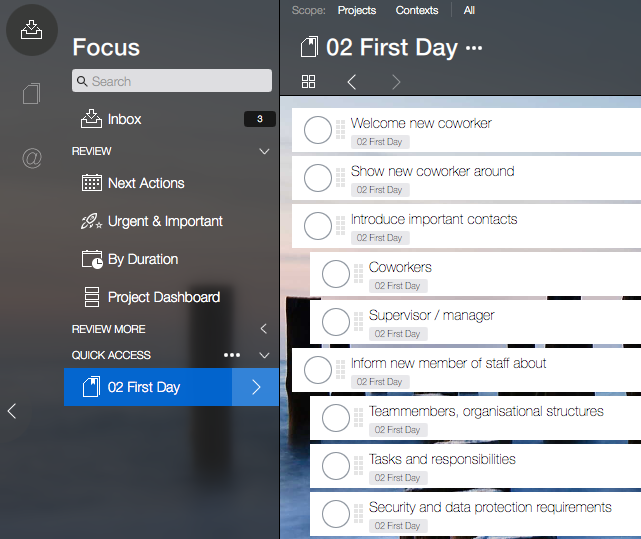 Access your most important projects directly from the "Focus" tab of the Library sidebar, without browsing through a large list of projects. The Quick Access section on the Focus tab of the Library displays your flagged projects by default. You can either tap/click on the project title to display the contents or tap/click the arrow on the right side to jump to the project on the Projects tab. 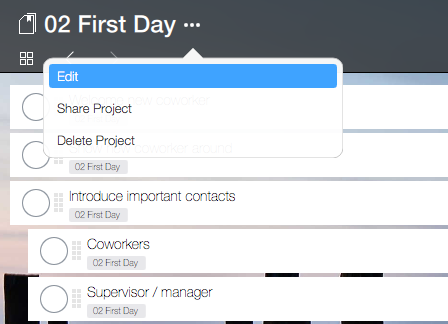 Tap/click the "..." menu next to the "Quick Access" label to change which type of project to display in the Quick Access area. 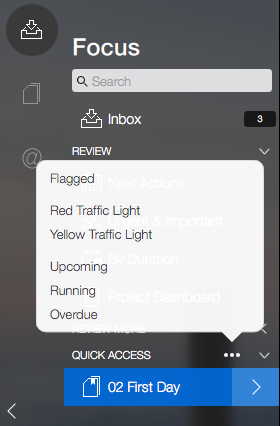 You can display your projects in the Quick Access area based on their flag status, based on traffic light or run status of your projects. All the status values that are used for Quick Access can be set with the Project Details Inspector for each project. To change the values open the project and tap/click the "..." menu in the Top Bar next to the project title to display a popover menu. Select "Edit" to display the Project Details Inspector.